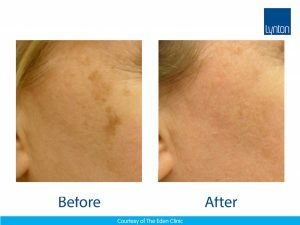 We offer a range of solutions for sun damage, brown spots, redness, lines and wrinkles. Our skilled team can reduce the appearance of fine lines and redness on your face within 6 weeks. 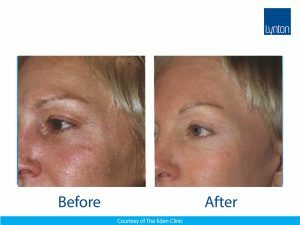 If you’ve been looking for non-surgical skin rejuvenation in Leeds and want results within a short time, laser treatment may work for you. Our specialist laser treatment can reduce the appearance of aging by stimulating collagen production under the skin, evening out any bumps and tightening up loose skin. Precise controlled short pulses of light are released that target discoloration (brown and red lesions), stimulating collagen production and reducing wrinkles. 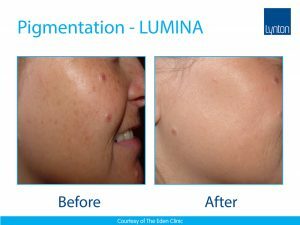 After an individual consultation tailored to your skin needs, we will apply a light applicator to your skin, and a short pulse of light is released. You must wear protective eyewear during this treatment. The treatment is suitable for most people, and we recommend a full consultation with us if you are worried about fine lines and wrinkles. The area may well feel warm after treatment, and quite red, and cheeks can be delicate. There may be some redness up to 48 hours after treatment. There may be temporary lightening or darkening of the skin. Treatments are carried out every 2-3 Weeks and 6 Treatments are recommended for best results. Top-up sessions are required if appropriate.